Glee  TV Show desktop wallpaper, Glee wallpaper, TV Show wallpaper - TV Shows no. 12542. 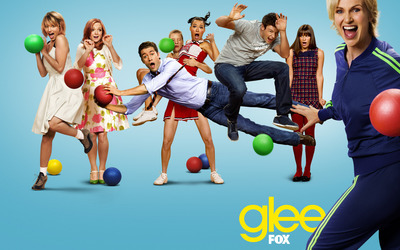 Download this Glee  Glee desktop wallpaper in multiple resolutions for free. 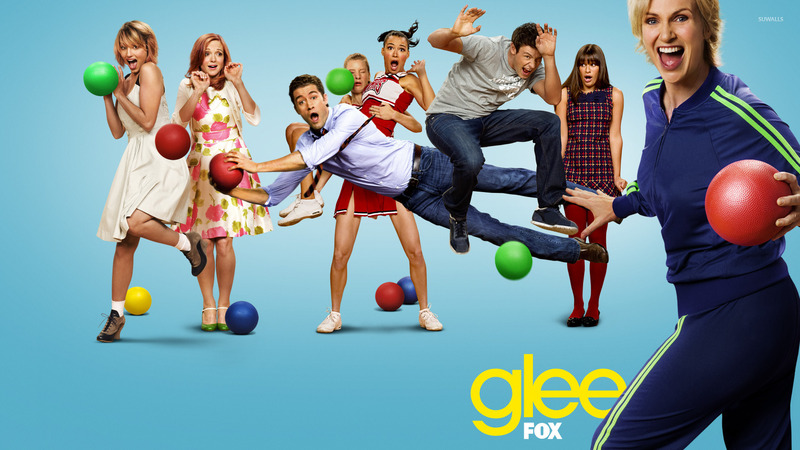 Glee is a musical comedy-drama television series that airs on Fox in the United States. It focuses on the high school glee club New Directions competing on the show choir competition circuit, while its members deal with relationships, sexuality and social issues. The initial main cast encompassed club director and Spanish teacher Will Schuester (Matthew Morrison), cheerleading coach Sue Sylvester (Jane Lynch), guidance counselor Emma Pillsbury (Jayma Mays), Will's wife Terri (Jessalyn Gilsig), and eight club members played by Dianna Agron, Chris Colfer, Kevin McHale, Lea Michele, Cory Monteith, Amber Riley, Mark Salling and Jenna Ushkowitz. For the second season, formerly recurring cast members Mike O'Malley, Heather Morris and Naya Rivera were promoted to the main cast.